Welding mistakes do not necessarily occur due to inexperience. 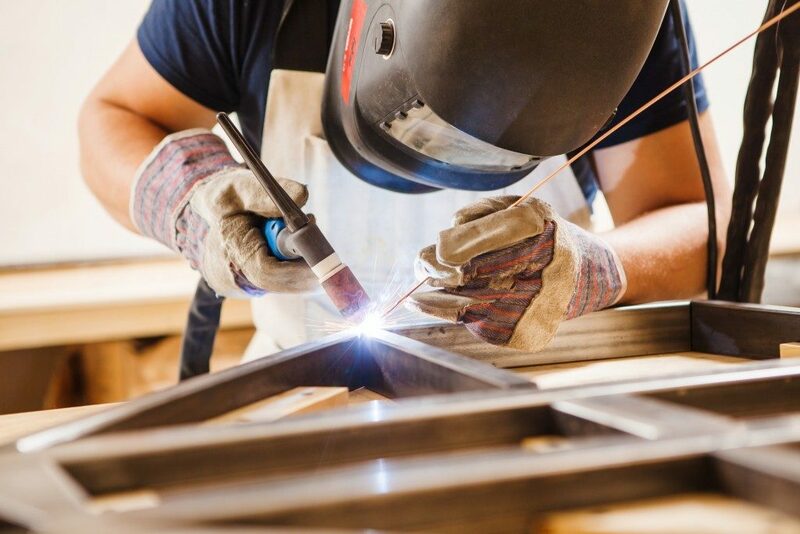 Since welding demands precision, you should familiarise yourself with the mistakes to avoid before you attempt anything. Understand that even small mistakes can mean inconveniences later, especially if your welds must respect particular codes. If you must outsource from well-known welding material suppliers, do not focus too much on training to forget about expertise. What mistakes should you avoid when welding? Prepare your materials before welding. Be careful to remove dust, paint, rust, and all other surface contaminants. If there is slag on your materials, remove it carefully using a slag hammer. In case your materials have cracks, grind them out before you start welding. Cleaning guarantees quality weld and prevents disasters in your working sites. Understand that cleaning is not limited to the materials only. You have to clean your welding machine, too. Different welding currents give different welding results. Familiarise yourself with the current to use to get your desired results. The length of your welding process and the types of metals you would be welding also determine the current to use. For best results, practice using scraps of the specific metal you would be welding. If you were handling thinner materials, DC would work. AC works best for superior penetration. Poor cable management results in poor performance. It damages the cables, too. In the case of MIG welding, cable damage can result in leaks, which can cause accidents. To avoid damage, never pull your welding machines around using their cables. Invest in cables of the right length to avoid the inconvenience of having to move materials nearer the machine. Avoid draping cables over other objects, especially when the gun is hot. This helps avoid the bending of the conduit. It also ensures that the gun and other consumables do not end up misshapen when they cool. Losing your welding point means deficient welding. To avoid mistakes, start welding only when you have a total vision of the spot. In case you would be in a welding helmet, adjust it properly before welding. Trying to fix it as you go increases your chances of losing sight of the spot. It is essential that you do not strike an arc outside your spots. Such an arc can ruin the metal piece. It can also ruin your work, especially if high precision is required. Welding machines, like all machines, require regular maintenance. Maintenance improves safety and performance. It also increases the lifespan of your machine. Understand that maintenance will only be worth it if done right. Check the manuals the machine comes with to know how to maintain it. Unless you are an expert, do not attempt to repair your machine after breakdown. Being careful when welding might not mean much if you use the wrong welding supplies. This makes it important to source your supplies from reliable welding product suppliers. You should also know your supplies to avoid mistakes when ordering.